We’re more than just a Ford dealer in Harrisburg, PA; we bring car owners, Ford enthusiasts, and expert technicians together in one easy-to-reach hub. Our knowledgeable staff will help you find the perfect Ford for your lifestyle, and our financing experts can help you locate the right payment plan for your budget. If you need maintenance or repairs, let us know! Our service department can have your car as good as new, and you can even order parts and accessories through our website if you’d like. This year’s ford lineup is as exciting as ever. Ford combines the best of modern design with industry-leading production to offer you the best prices possible, and whether you’re looking for a gas-efficient vehicle for everyday use or a powerful truck for your contracting needs, you’ll find a great deal at our dealership. Among this year’s gas-efficient Fords is the all-new EcoSport; it combines the roominess of a mid-sized SUV with the mileage of a compact car, and you’ll enjoy a sleek exterior design and 4x4 capability while leaving a smaller carbon footprint behind. The Ford Fiesta is an economic choice in regards to up-front cost, fuel, and size. Firstly, the fashionable compact size will look great while making your urban parking struggles disappear. Secondly, our Ford Fiesta offerings start below $15,000, so we can find a payment plan to fit any budget. And finally, you can drive as often as you like with gas being a burden on your wallet or the environment. For slightly more substantial take on the gas-efficient model, take a Ford Focus or Ford Fusion out for a test drive today. You’ll love the sporty handles, fashion-forward designs, and eye-catching color options. You won’t sacrifice much in the way of gas mileage, and these models still fit into the compact car category despite their ample room for passengers. Is there a more iconic pickup truck on the market than the Ford F-150? We don’t think so, and whether you’re familiar with its pedigree or not, you’ll love the F-150’s look, feel, and capabilities. Make a statement with a Ford F-150 Raptor--we’ll even let you take a test drive. For a timeless pickup truck, look into the King Ranch model. It boasts a 4x4 drivetrain, and even at the most basic package, it has 295 horsepower. Whether you’re looking for a heavy-duty F-250 or a base-model pickup for weekend projects, our Ford dealers in York, PA have a powerful, athletic truck for you. Ford doesn’t just offer great compact cars and pickup trucks. You can find a full-sized SUV or Crossover for the family as well. Start by test driving the majestic Ford Expedition; it features a flexible ten-speed automatic transmission, folding bench seats, and interior entertainment options for the whole family. For even more space and luxury features, take a look at the fully loaded Ford Expedition Max. The classic Ford Explorer remains one of the best vehicle solutions for the modern family--enjoy an athletic stance that you’ll love driving around, and give your kids a comfortable interior with room for friends, backpacks, and anything else that might need transportation that day. For something with a more modern look, stop by our York, PA Ford dealership and check out the collection of Ford Edge and Escape vehicles. 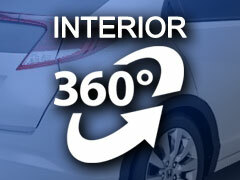 They work as a gas-efficient family car or a stylish ride for a weekend getaway; it has the room and design for both. A new Ford is always a great investment; it comes with leading safety features, a reliable warranty, and the full support of our technician staff when things go wrong years down the road. But in case you need any more incentive, we offer specials on our new Ford cars in Harrisburg, PA.
Keep your eyes open for our special dealer discounts. You’re likely to see anything from cash back offers to special financing and lease deals, and you don’t want to buy a new car without exploring our offers first. While getting a special discount on a new Ford in Carlisle can really make a car look too good to turn down, it’s always important to shop within your means. That’s why we offer a “shop by payment” tool for our customers. You can enter your desired down payment, monthly term, and even add the amount you will receive from a trade in (for more info, see our “value your trade” tool). Lastly, you need to input your credit score, and the tool will return the cars in our inventory that meet your requirements. To apply for financing, simply enter the information that our online application form requires. You’ll need some basic banking information and your social security number, but the process is quick, painless, and accurate. Get an accurate reading of your financing situation in just a few minutes. If you’re interested in the very latest our Ford dealership in York, PA has to offer, check out our new arrivals. This section is reserved for brand new sedans, trucks, and more, and you can even see the latest commercial vehicles--Ford Transit and F-250s included. Of course, you can always stop by to see the most cutting edge sports car technology on the Ford Mustang, and we showcase our newest Mustang arrivals regularly. Don’t miss out; the Mustang sells quickly! If you have any questions about the new cars available at our dealership, don’t hesitate to reach out. Our knowledgeable professional know the Ford brand better than anyone, and they would love to help you out. We have vehicles coming and going rapidly, so if a particular deal catches your eye, don’t wait to set up a test drive. Get qualified for financing, stop by and look around, and drive home in a brand new Ford!